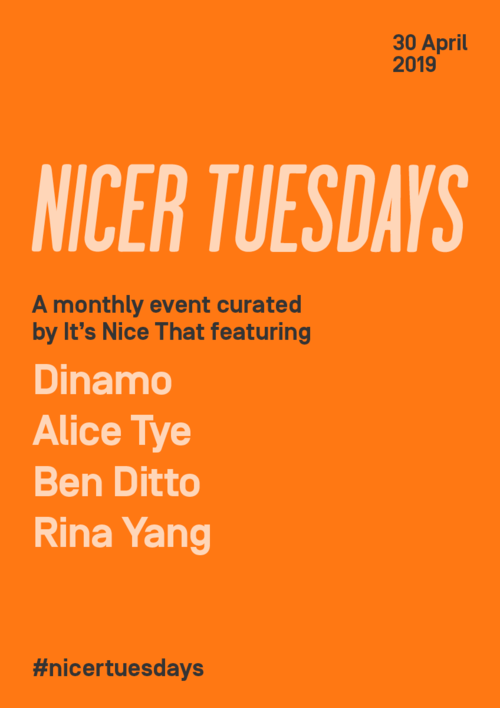 We are excited to announce the line-up for Nicer Tuesdays April which will be taking place, as ever, on the last Tuesday of the month - 30 April. It's not one to be missed as we'll be hearing from typographers Dinamo, art director and publisher Ben Freeman, painter Alice Tye, and director of photography Rina Yang. Timing for the evening: doors open at 6.30pm and the talks will begin at 7.15pm. Oval Space will be serving delicious food throughout the evening with the venue open until 10pm and we'll have drinks kindly provided by Camden Town Brewery.